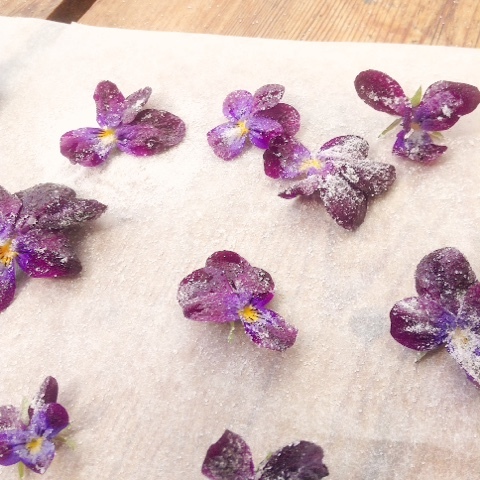 HOW TO MAKE CRYSTALLISED FLOWERS. 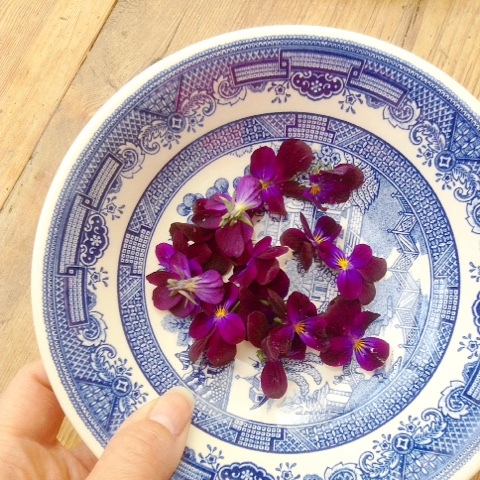 You will need edible flowers, I like violas/violets. One egg white whisked. Castor sugar. Baking paper and a fine paintbrush. Firstly clean your flowers, also make sure no pesticides have been used on them. Whisk your egg white and lay out your baking paper, in another bowl pour 2 tablespoons of castor sugar. 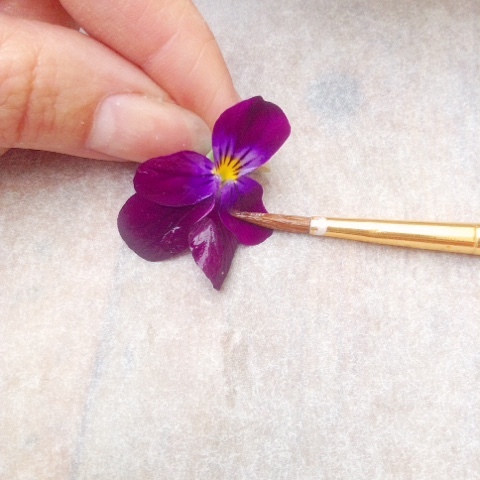 Using one hand to hold the flower, paint on the egg wash with the brush until there is an even coating. Next put the brush down and sprinkle over the sugar with the hand you held your brush in, this way only one hand gets sticky and you don't end up in a congealed sugar mess. Lay your flowers on the paper and store in the airing cupboard overnight. The next day pop in an air tight container and store in a dry place, your flowers should keep for a few months. 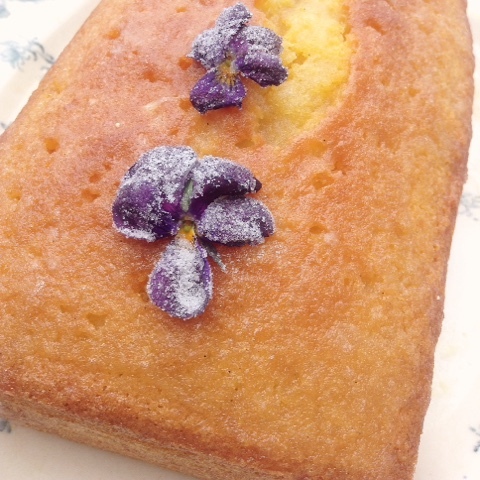 Then adorn your cakes and creations when needed.